If you’re planning to come to Cancun for a smile makeover and you’re bringing your best companion with you, then you should know that playa coral (also known as El Mirador 2) it’s a pet friendly beach in Cancun where you can share a time with your furry friend. Where is it? Playa Coral is located at km 25 of the hotel zone next to Ventura Park, and you can bring not only dogs, but cats, hamsters or any other pet you own. In order to avoid spreading any disease, Playa Coral only allows healthy pets. 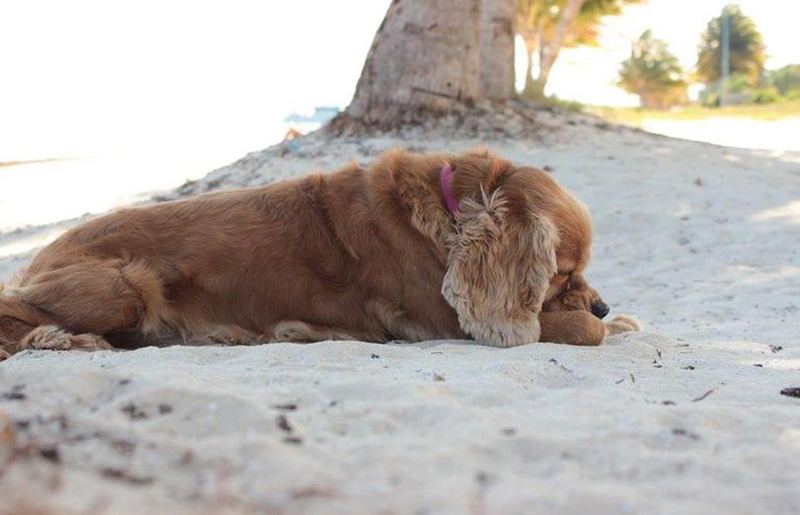 If your pet is sick or unhealthy take it to the vet, so it can later be allowed to play at the beach. Be a responsible pet owner! Keep your dog on a leash until you get to the beach and as soon as you get to the parking lot. However, if your pet has an aggressive personality, bringing it to the beach may not be a good idea. Always bring poop bags, and make sure to pick up your pet’s feces and your waste. Also there’s a trash can area with designated dumps for pet waste, organic and inorganic residues. There is no public supply of drinking water at the beach, so make sure to bring some to keep yourself and your pet hydrated. If you want information about Snap in Dentures a palateless denture mini implant in Cancun call toll-free from USA and Canada 1800-961-0419, if you are already on vacation in Cancun and want to meet us, we are located inside Malecon Americas Shopping or call us for an appointment at the following local number (998) 1-40-51-25.